Are you looking for the best accessory that you wish to pair up with your brand new smartphone OnePlus 5T? Here take a look at these ten best accessories for your OnePlus 5T. What makes the OnePlus 5T much better smartphone? Pairing it with the compatible and most suitable accessories that make a great companion with your OnePlus 5T smartphone. With this article, we have listed ten best of the accessories that make your smartphone more productive and also improves your smartphone’s capabilities. After researching so many of the gadgets and having the extensive testing, we think that listed here are the best products that you can make the great companion with your smartphone like the OnePlus 5T smartphone. Here you go with the list. The first and foremost aim for any smartphone user is to protect their smart gadget’s device and for that most of the people surf around on the web to find the best. 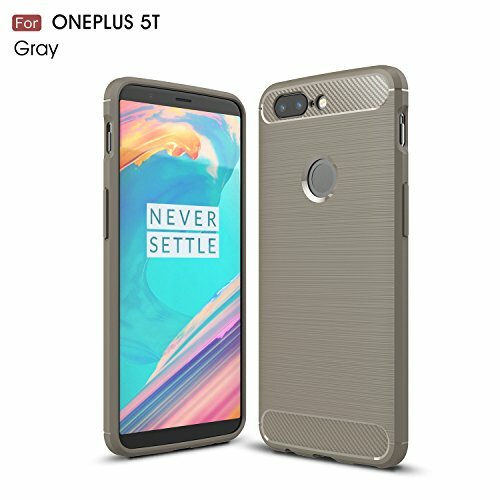 But we have here listed the best armor case for your OnePlus 5T smartphone. And it is all tested by our professional team. This is the case is made from environment-friendly TPU material. It is backed by drop resistance and air sac sink design to protect the phone from most of the impact in any situation. It has the precise design that offers precise cutouts and openings. It is smooth and provides design like anti-slip, carbon fiber and anti-sweat. It is elegant generous with modern design. Drop resistance with air sac sink design. Smooth with anti-slip, carbon fiber and anti-sweat design. Elegant generous with modern design. It is soft and comfortable to snap on the phone. It is elegant and stylish looking case. It is very sturdy and well built. The carbon fiber texture offers comfortable hand feeling. There are only a few of the color options. You can keep your phone sleek with this case. After the body protection, the next protection factor comes in fourth is screen protection and for that, you will need the screen protector. You need to make sure about the security of your smartphone’s delicate screen, and for that, you need to have one protector for your high-end smartphone’s screen. 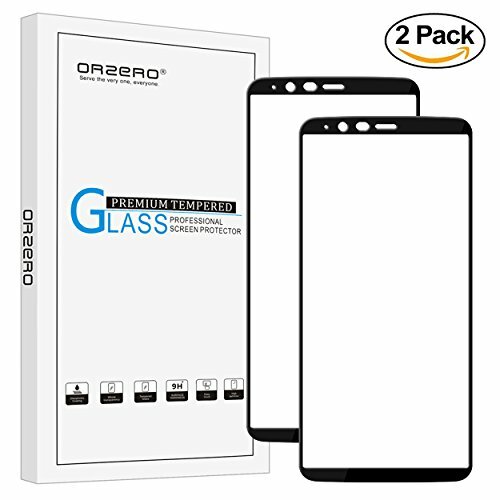 We have tasted screen protector from the brand Orzero that offers the pack of two screen protectors that provides 9H strong hardness. It gives 2.5D round edge for the original and smooth installation. With the 99% of HD clarity, you will have clear image viewing, and it also offers original touch experience. The hydrophobic and oleophobic coating keeps the screen smudge free. You will even have lifetime replacement warranty. There is two screen protector in a single pack. It offers black colored lined screen protector. It adds style factor to the screen. The installation is a bit difficult. Are you one of those who loves to maintain the original look of your smartphone’s beauty and show off it even while protecting your smartphone’s body? 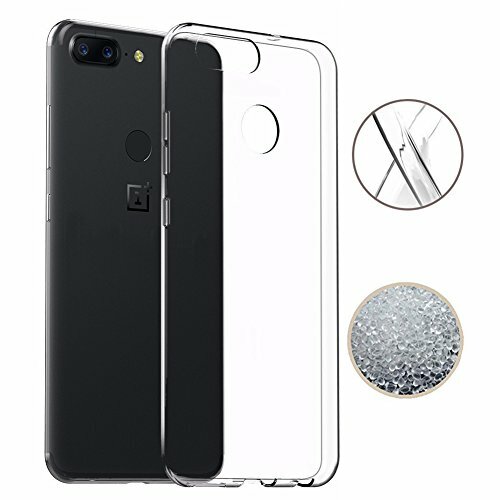 Here we have a clear case for a OnePlus 5T smartphone that is well tested by us. This case is made of silicone TPU case. It offers a soft touch and easy to grip on the skin. With the precise design, it offers accurate cuts and openings for all the ports and buttons. It protects the phone from bumps, knocks, and scratches. And the premium matter TPU material gives excellent grip. Silicone TPU made the case. Soft touch and easy to grip. Precise cuts for all the ports. Protects from bumps, knocks, and scratches. Premium Matte TPU offers excellent grip. It maintains the original look of your smartphone. It offers flexibility that makes it easy to install. It also perfects to protect the phone buttons as well thanks to the tactile buttons. It gets yellow after 3-4 months of use. Are you looking for the best cable set that helps you charge your smartphone and also have the great discount on it? This is the excellent option for you to have the pack of the three charging cables to have at an affordable price for your OnePlus 3T smartphone. This case is a construction of premium aluminum housing and sturdy nylon fiber jacket. 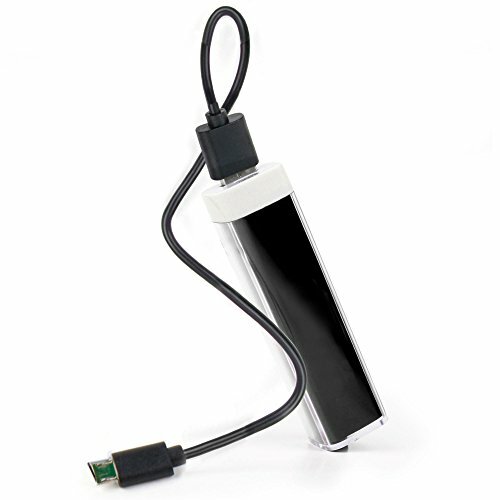 It offers fast charge and high-speed sync. It charges your phone up to 7% faster than traditional cables. With the 480mbps data transferring speed you can quickly move data. It has reversible connector design and access to the coil that managed the cable. 12 months of warranty backs this durable cord. Premium aluminum housing and sturdy nylon fiber jacket. Fast charge and high-speed sync. Charges up to 7% faster than traditional cables. Easy to the coil to keep it managed. It offers friendly customer service. In a single pack, you will get three different cables. This is Type C cable. It charges the phone little slowly. The price is not worth. While having wireless headphones for your smartphone, you can probably feel like a pro. So for that reason, we have tested 5 of the wireless headphones for OnePlus 5T and the one that from Duragadget brand we have found it best companion for your OnePlus 5T. 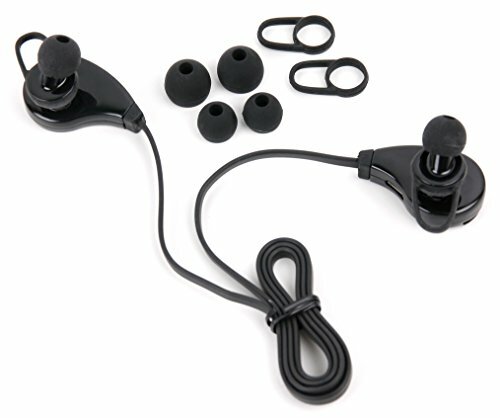 This Bluetooth 4.0 headset connects to the phone quickly and offers range up to 10 meters. These adjustable earbuds are the ideal fit for both adults and children. It supports standby time up to 150 hours and 1.5 hours of charging time. It offers excellent sound quality. Connects with the range up to 10 meters. Perfect fit for both adults and children. 5 hours of charging time. It is an excellent package of good quality headphones. Adjustable earbuds are the great option. It is light on weight. It offers crisp sound quality. The wire easily gets tangled. It is pricey as well. Here is another best pick of our, that is USB Type-C cable that you make a pair with your OnePlus 5T. That you can not only use with your OnePlus 5T smartphone, but you can also use it with other Type-C compatible devices. 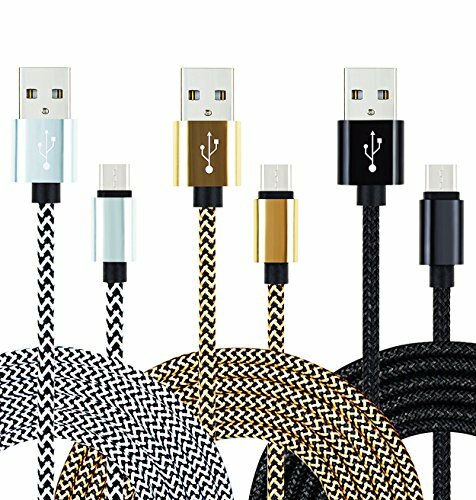 We have tested many of the Type C cables but the brand Life-Tech we have found the best for the OnePlus 5T. 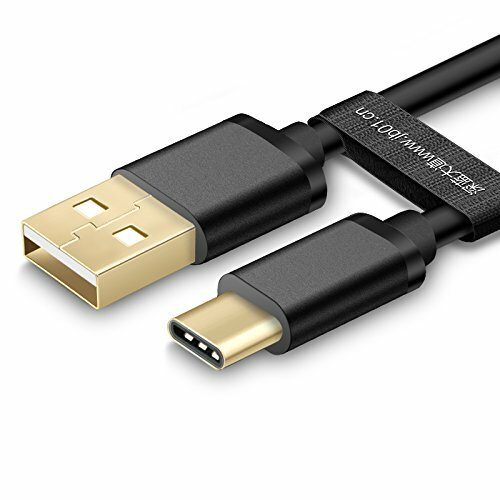 This 3 feet of extended USB Type C cable offers Hi-speed data transmission and charging rate. It supports plug and plays installation. The Unibody plug offers protection from the electromagnetic wave. It offers stable syncing and charging. 3 feet of extended USB Type C cable. Hi-speed data transmission and charging rate. Unibody plug for protection from the electromagnetic wave. It is well-constructed Type C cable. It is durable and protective. It protects from the electromagnet current. It lets you charge and sync the date at the same time. There is only one cable. Doesn’t offers that much compatibility. For the traveler who loves to travel a lot but facing the issue of the low battery in your smartphone then you really should have the best car charger for your OnePlus 5T. With the Duragadget Type-C car charger that is entirely compatible with the OnePlus 5T. 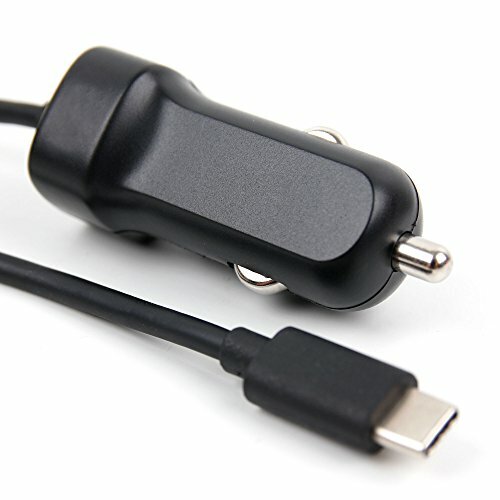 This Type C car charger is made of durable 1m cable. This is ultra-fast charging. It contains the universal compatibility. It is strain relief and protects from overcharge. It offers maximum charging speed. It is perfect for in-car cigarette lighter socket. Made of durable 1m cable. Perfect for in-car cigarette lighter socket. It comes with the long cord that makes flexible charging. It enables you to operate your phone while charging. For the many of the best gadgets, you need to have the best USB Type-C adapter. That offers the best of the connectivity with other devices, and for that, you need to have to for your phone. 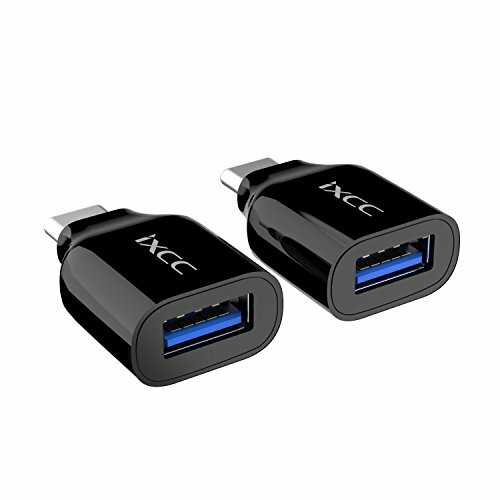 We have tasted the many Type-C Adapter and iXCC is the best. This USB Type-C to USB 3.0 Type-A adapter offers excellent data transfer speed up to 5Gbps. It also supports USB OTG to connect to the keyboard and other devices. It is compatible with USB 2.0, 3.0 and 3.1 interface devices. And the product is backed by two years of manufacturer’s warranty. USB Type-C to USB 3.0 Type-A adapter. Compatible with USB 2.0, 3.0 and 3.1 interface devices. Two years of manufacturer’s warranty. It is a good converter. The OTG type connection is the fantastic function. With it, you can carry your portable hard drive with ease. With USB 3.1 Gen 2 it offers 10Gbps of throughput. In Type-C connector the Metal Male part is concise. It runs a little bit hot. Apart from car chargers the travelers also want some portable charger for their smart devices and for that Power Bank is all you need for your high-end smartphone. Here we have best and compact power bank from the brand Duragadget. This is an ultra-portable power source, and it offers Micro USB input port. With the battery capacity up to 2600 mAh charges your phone quite quickly. It has universal charging design. It comes with built-in LED light charging indicator. 2600 mAh capacity of a battery. Built-in LED light charging indicator. It is equipped with the Li-ion battery. The LED light helps to know the charging status of the power bank. It is the handy tool. The compact size lets you carry even in your pocket. The battery capacity is little weak. 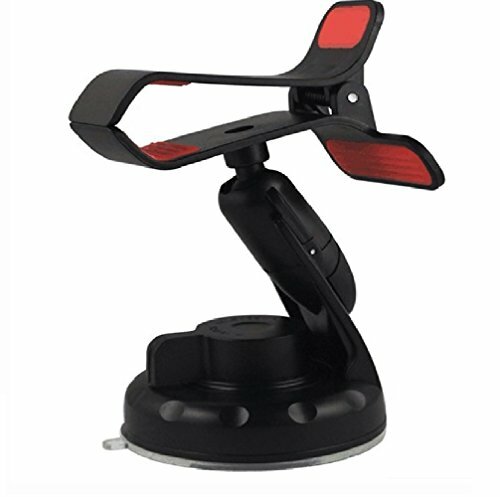 This is another best accessory for the traveler, and that is i-Sonite Car Mount. This is one of the best car mount OnePlus 5T smartphone. With the attractive and stylish design, the mount makes your phone look amazing on your car desk. Foam grips give protection from scratches. Holds the phone in a place. Compact, mini and durable design. Convenient installation without any tool. A pro like a look and design. You need to pay a shipping charge. The holder holds only one smartphone. Which one is your pick? How does it go with your smartphone OnePlus 5T? Share your experience here with us in the comments section.